This is according to Jonathan Guthrie of the Financial Times, in discussing the decision of HSBC to close down its operations in Panama (Corruption Perceptions Index score in 2012: 38 out of 100). The decision was purportedly to increase profits – but maybe not in the way one would expect. HSBC was recently fined upwards of US $1.9 billion (with a “B”) by the United States for, among other things, its failure to prevent large scale money laundering in its Mexican subsidiary. It has publicly committed to operating to US standards throughout the world. In this context, an exit from a country like Panama may illustrate the hidden costs of doing business in countries with a poor record on corruption. Such operations are by no means as profitable as they may seem. Take away the moral relativism, and the costs of continuing to operate in a higher risk country like Panama might become too great to make it worth while. Those costs would include not only fines that, at the 1.9 billion mark, actually do grab the attention of senior management and investors. Other costs, such as risk management and compliance, and the need to turn away certain types of business, tip the scale from profitable to not. Add to these costs other indirect costs, like repairing damage to reputation, and the profit picture can change dramatically. 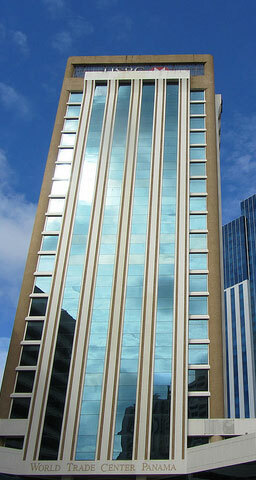 Although Panama has made a lot of progress in the years since it was placed, and subsequently removed, from the Financial Action Task Force’s list of Non-Cooperative Countries, its geographic location, coupled with issues relating to transparency, in particular, with respect to availability of ownership information of Panamanian companies and the availability of accounting information in respect of entities that do not receive any Panamanian-source income, would support a bank’s determination that doing business there is relatively high risk. In 83rd place (out of 176), Panama’s ranking in Transparency International’s Corruption Perceptions Index, it shares first place among the Central American countries with El Salvador. However, its score of 38 out of 100 is a clear indication that there is work to be done. Designated as a higher risk country, a Bank would be obligated to put in place more robust, and hence costly, due diligence and monitoring standards and infrastructure. Perhaps its business in Panama would give rise to higher costs of capital as well. All in all, taking corruption and transparency into consideration in evaluating a business proposition is a wise and prudent decision. Businesses should not only to protect shareholders and maximise profits, but also put pressure on the governments of exited countries to do more to combat corruption.